One of the quintessential things do to when you visit Hawaii is attending a luau. You feast on roast pig cooked in an underground oven, drink mai tais until your heart’s content and watch hula dancers perform. 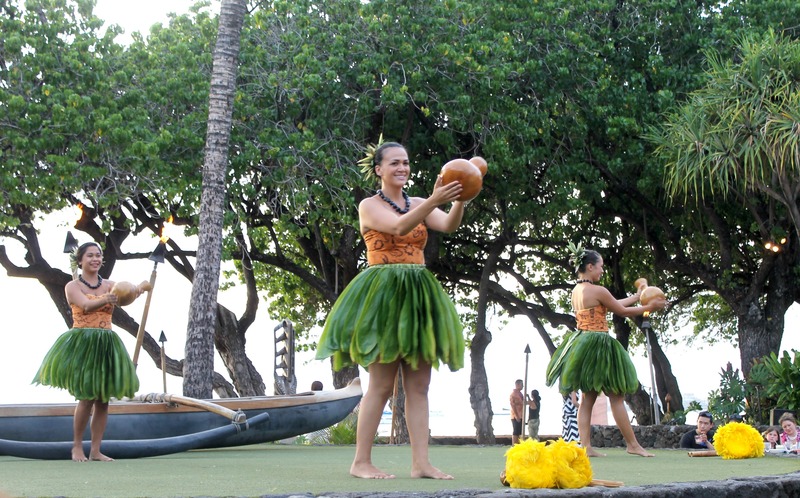 Many of the resorts on Maui offer their own variation of luaus, but if you want the real deal, the Old Lahaina Luau is by far the most authentic luau Maui has to offer. I have attended a few luaus during previous trips to Maui, and while they were always fun and provided great entertainment (ie: fire dancers), there was something special about the Old Lahaina Luau that sets it apart from the rest. The Old Lahaina Luau is tucked away off Front Street in Lahaina and when you enter, it’s like walking into an old Hawaiian village. You are greeted with a lei and a mai tai, then escorted to your table for the evening. The luau offers either traditional table seating, or you can sit Indian-style on cushions around a table right next to the stage. The Englishman and I opted for the front row seating, which was awesome because we got to eat at the buffet first and got an unobstructed view of all of the performances. 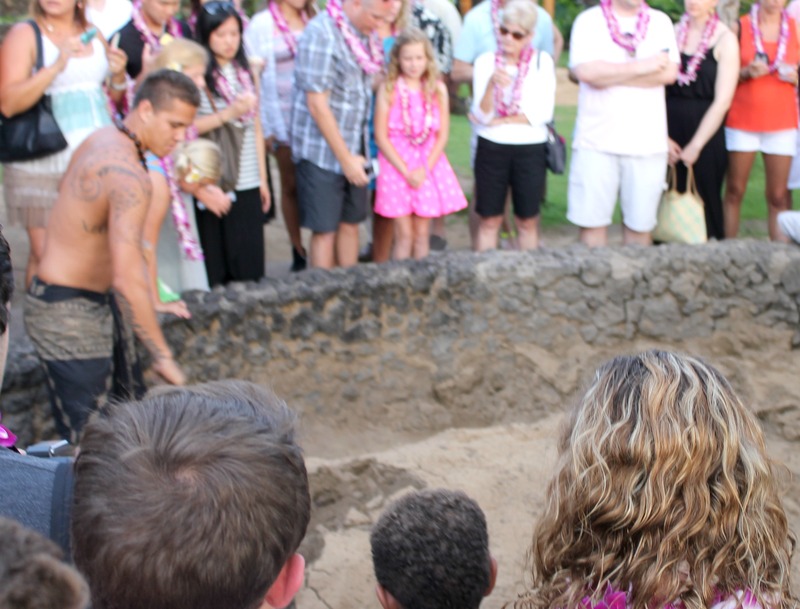 While you wait for the luau to start, you can wander around and learn how to hula, watch wood-carvers create mini tikis and other souvenirs, and of course watch the roast pig being unearthed from the ground. Unfortunately I wasn’t able to get a good shot of the pig but it smelled delicious. 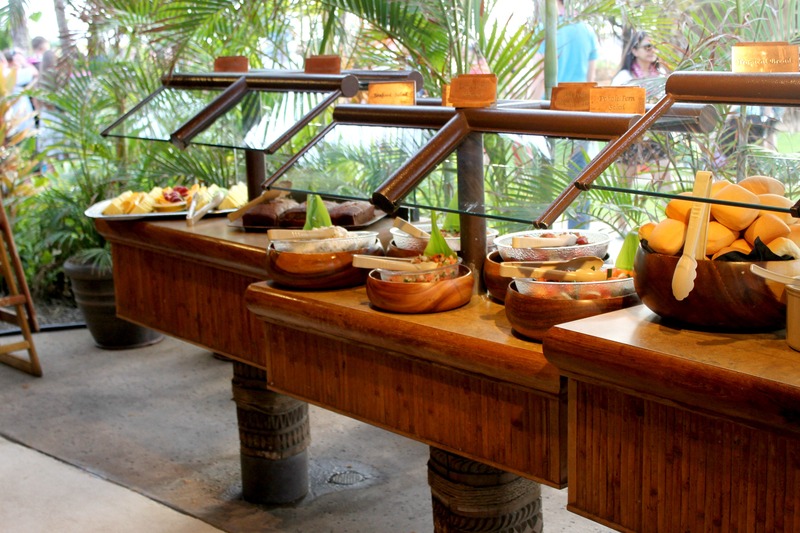 As the sun begins to set you are called for dinner, which is a buffet with a variety of traditional Hawaiian dishes such as kalua pork, roasted sweet potatoes, pork in ti leaves, poi and fresh fish. This is where the Old Lahaina Luau gets extra stars in my book. Before we started to plate our food, one of the waiters asked if anyone had food allergies. I immediately raised my hand and was given a detailed spreadsheet of the ingredients of every single dish at the buffet, including drinks. That way I was able to navigate the buffet without any problem. 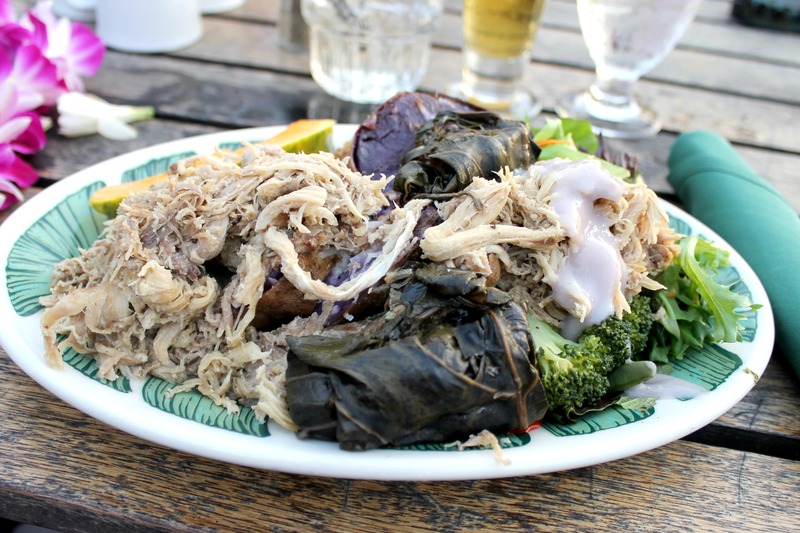 While there were a few dishes I could not enjoy, I was able to load my plate with kalua pork, sweet potatoes, vegetables, salad, fruit and homemade banana bread. And for being a mass-produced buffet that serves hundreds of people each night, the food was pretty good. And since I already was in the middle of a love affair with the kalua pork, I made sure to get plenty of that. 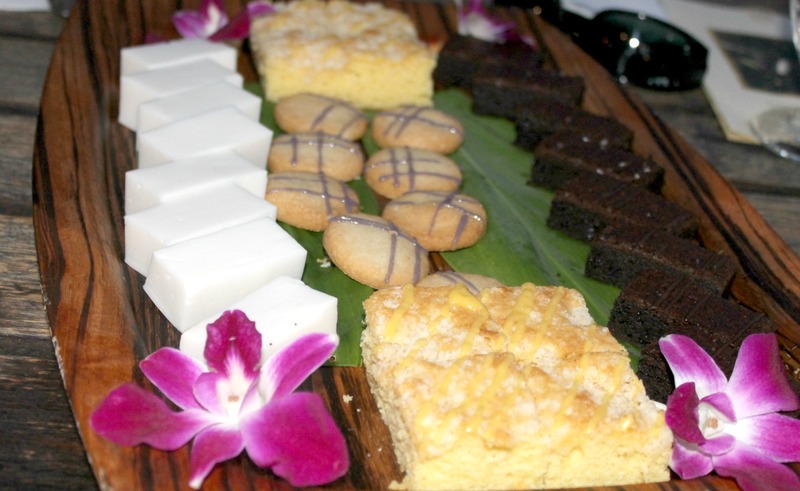 After our feast, we were presented with traditional Hawaiian desserts such as haupia, guava cake and some slightly spicy chocolate brownies. After enjoying some dessert it was time for the show. The Old Lahaina Luau focuses on the myth of the fire goddess Pele, who was known for her power, passion and jealousy. The story is told through the traditional art of hula, and the performers were top-notch. I liked how the show focused more on Hawaiian mythology and legends and told an actual story. Many of the luaus I had been to in the past were just focused on entertaining dances without any real meaning behind it. The Englishman and I agreed that the Old Lahaina Luau was definitely one of the highlights of our trip and would do it again if we return to Maui. It is a little on the pricier end, but you get an entire meal, unlimited drinks and a show that you are sure to remember for years to come. Have you been to a luau? What’s the best dinner show you have attended? 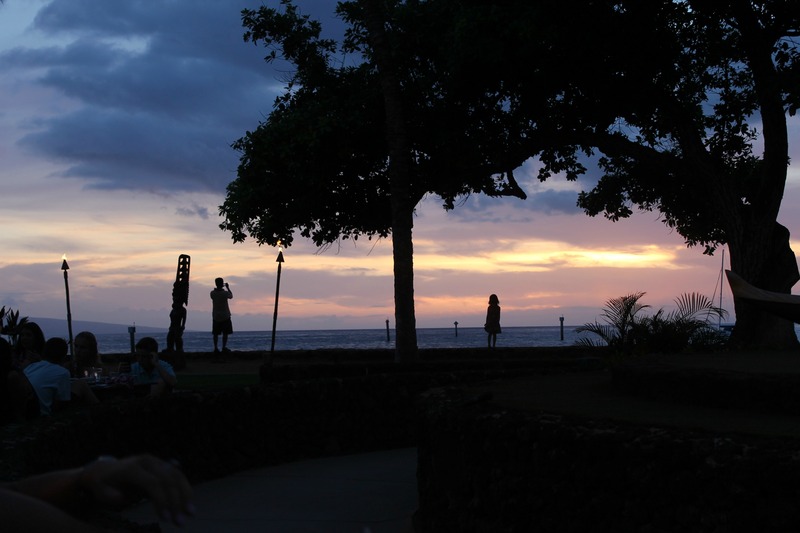 This entry was posted in Best Of, Dinner, Life, Travel and tagged honeymoon, Luau, Maui on June 23, 2014 by allie@sweetpotatobites. How fun! If that pork was half as good as the ones you and Joe made, I’d be all in!